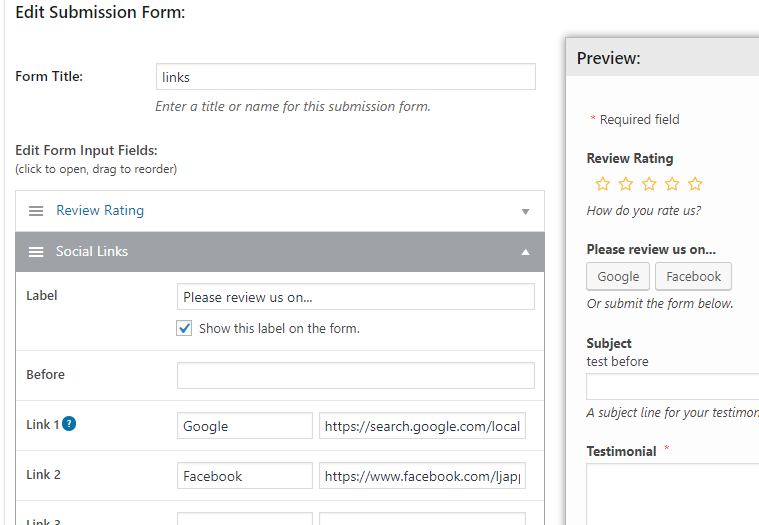 When creating a Review Submission form you have the option to create Social Links. The plugin asks for the Name and URL of each link you want to add. In most cases, you can just link to your page on the site. There are a couple of exceptions noted below. So in the plugin I would have this….